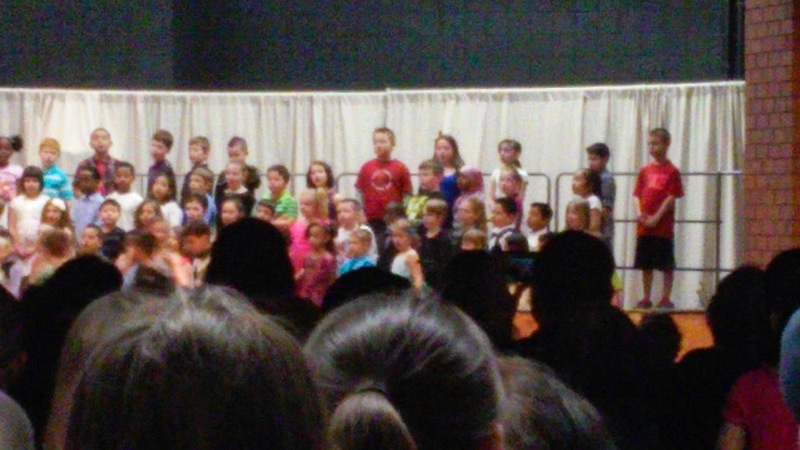 Today was the day of the 2nd grade concert. G is the blond with the black shirt on. I wish I had better pics but I forgot my camera so all I could get was crappy cell phone pics. 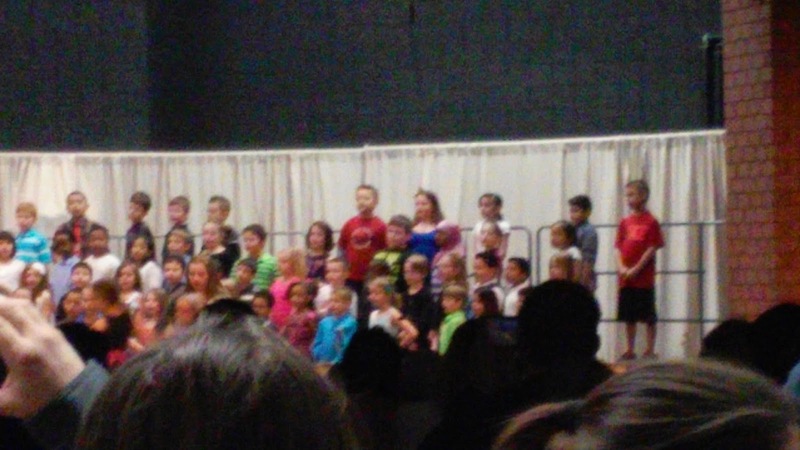 On the bright side I wasn't one of the parents taking video when the kid front center puked all over the stage lol. It was the 5 of us and my mom came as well. We ended up running into G's daycare lady too so that was kinda cool that she came to watch him sing. Sometimes I wish that his dad was a little more involved so he would come to things like this. I don't even think that he knows where either boys school is. OMFG, he puked, LOL! I would have puked. You know I'm a chain puker!